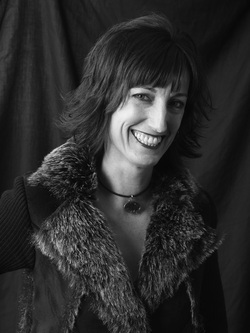 Rachel Mains was born and raised in Colorado. Corner Café is her first album. Corner Cafe is an eclectic composition of music with jazzy melodies, country-rock, folk and otherworldlyy sounds. Rachel’s vision is to bring the lyrics and melodies from Heaven to the earth. She believes everything is possible with God and it’s never too late to be the person God created you to be. She has a passion to encourage others and likes to bring peace and inspiration through her music. Corner Cafe was produced by Dave Beegle and Taylor Mesple; mastered in Dawghouse Studios. Rachel has a B.A. in Communication from the University of Colorado at Boulder. Rachel has over ten years of experience in media, starting her media career in television. Following her adventurous career in television, she went to work in radio at Crawford Broadcasting Company as a Traffic Manager. Rachel launched her unique radio show, Corner Café: Your Connection to Worship Leaders, Bands & Artists in Colorado. Corner Café currently airs every Saturday @ 3 PM on AM 670, KLTT. People involved in media, people involved in leading worship and people involved in the local music scene in Colorado host Corner Cafe. In 2011, Rachel spent 8 months in Buenos Aires, Argentina, as a missionary. Currently, Rachel works at three different media outlets in Denver, Colorado: Reel Creative Productions, Fox News and KLTT with Corner Cafe. Kim Tole combines over 17 years of international radio hosting, local television producing, artist management, and television programming with professionalism and enthusiasm. During her career, she has promoted music artists, interviewed national actors and comedians, written for entertainment publications, performed in a various shorts vignettes, and trained in acting. Her interviewing expertise is intriguing and fascinating. Amongst her guests she has had the privilege to interview are Kirby Britton, a Hollywood director, Evan D’Angeles, a Broadway theater actor and professional singer and Matt Baca, a film actor and stand-up comic. Throughout her time in Denver and Los Angeles, Kim has become “the queen of networking”. Her appeal and charisma attracts many people in the entertainment arena. Locally, she co-produced Denver’s Clean Comedy Contest at the Arvada Festival Playhouse, and promoted a local stand-up comic for a political fundraiser, in addition to other numerous events in and around Denver. Her excitement and passion captures her clients’ personalities as she promotes and markets entertainers in print and television. Should you choose to work with one of these contractors, independent of 5Penny Project, LLC, know that your business dealings are between you and the contractor alone. 5Penny Project, LLC is not responsible for the resulting transaction.